The Lifespan Machine combines modified flatbed scanners with custom image processing and data validation software to automate the collection of Caenorhabditis lifespan data. Tens of thousands of nematodes can be monitored on solid agar once an hour for their entire lifespan. We use this technology to study how and why we grow old. Our 2013 nature methods paper is a good starting point for learning more about the approach. Our mailing list is a good forum for asking questions. No amount of clever software can replace the attention of a thoughtful experimenter. Just as in manual survival assays, the conclusions drawn from automated assays should be evaluated critically in the context of the many assumptions made during collection and analysis. Current hardware schematics are included in the supplement of the 2013 methods paper. The most recent version of the LM software associated is available for download from our github repository. We have assembled a software installation guide that outlines the steps required to set up the Linux server require to control scanners. We have assembled a software tutorial outlining the basic steps required to perform automated image analysis. A plate containing a strain of C. elegans carrying the age-1(hx546) mutation was imaged automatically for four weeks. 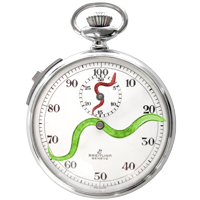 Time-lapse videos depict the nematode’s life and death prior to analysis. The same plate with overlated metadata portraying the results of automated analysis.